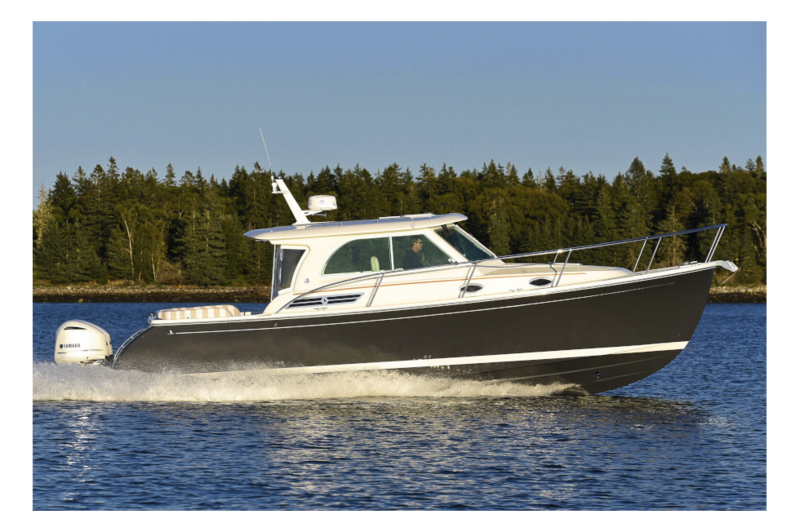 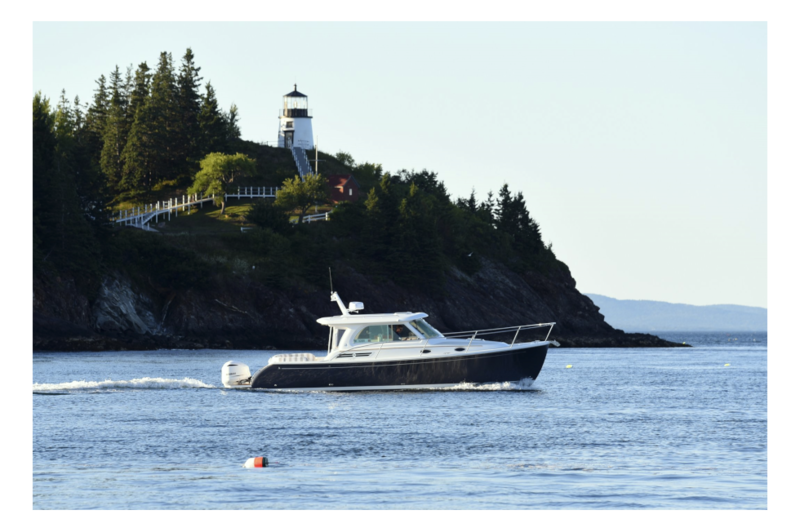 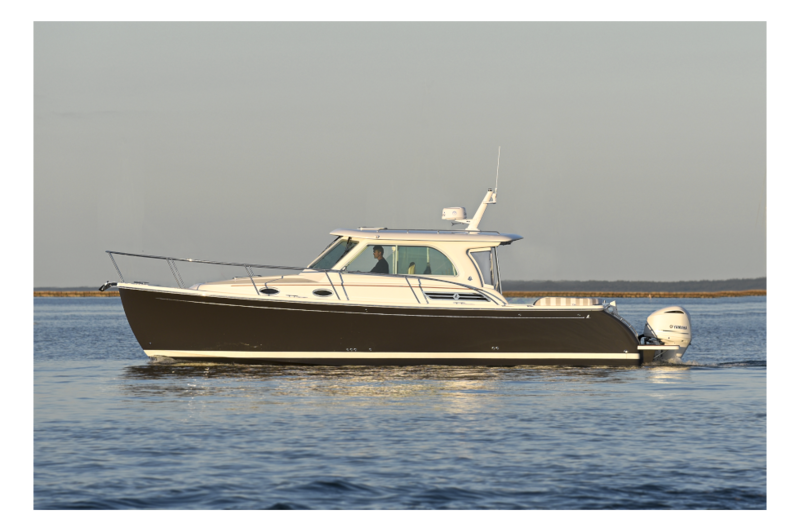 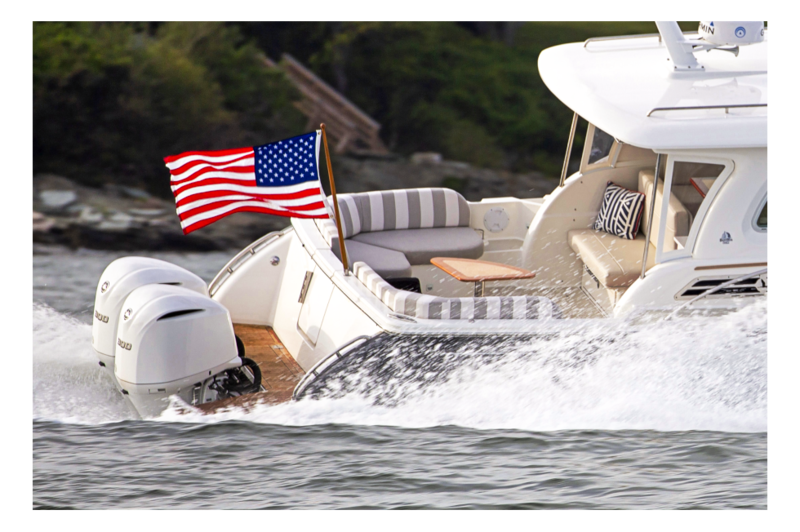 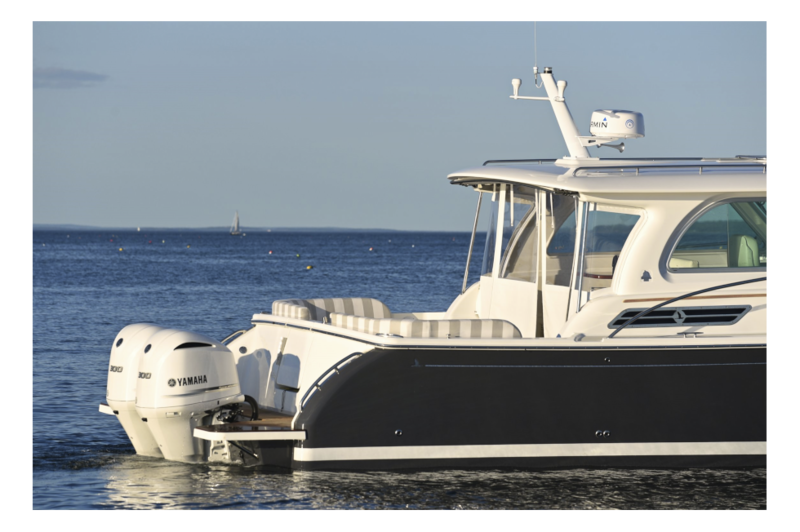 Back Cove Yachts introduces the new Back Cove 340, powered by twin Yamaha 300 outboards, with optional Yamaha 350s or Suzuki 350s. 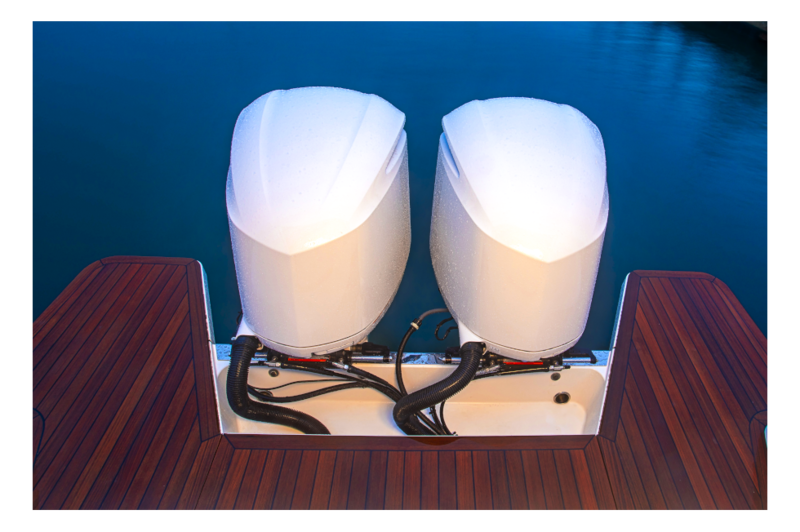 The entirely new hull is fitted with a standard bow thruster and designed specifically for outboard propulsion. 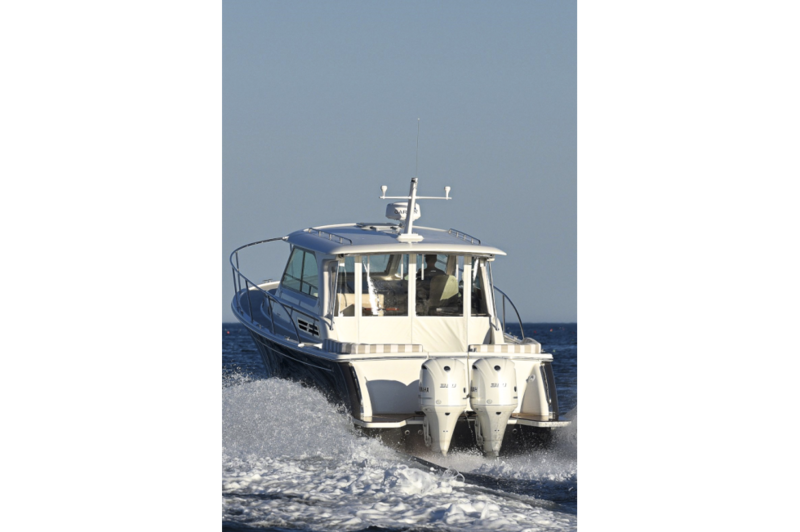 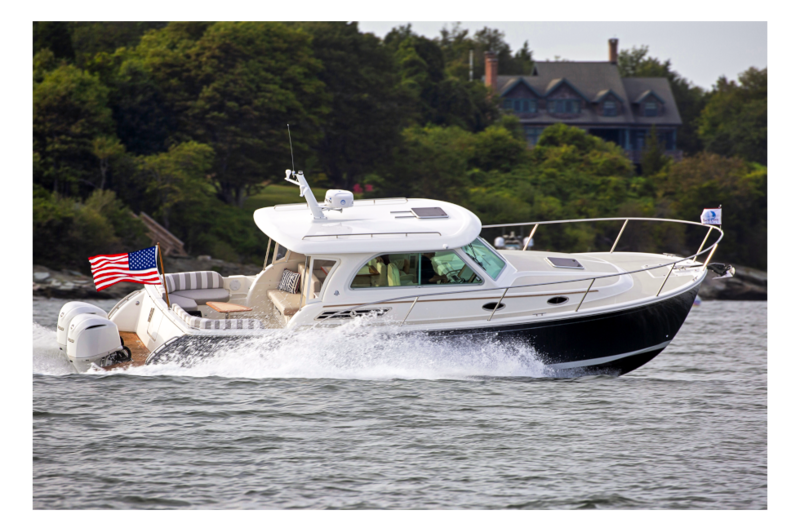 It offers cruise and top end speeds of approximately 10 knots faster than the standard Back Cove single diesel engine. 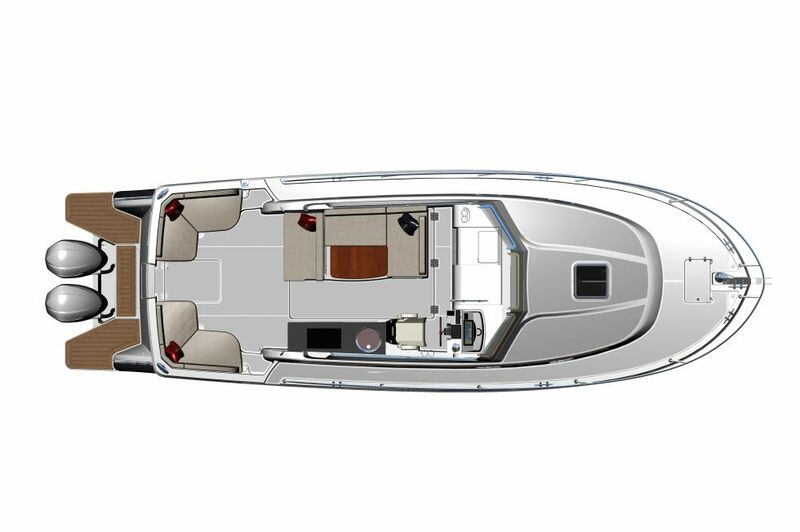 The cockpit is meant for entertaining, with an aft facing seat that converts into a helm deck U-shaped dinette or a second berth. 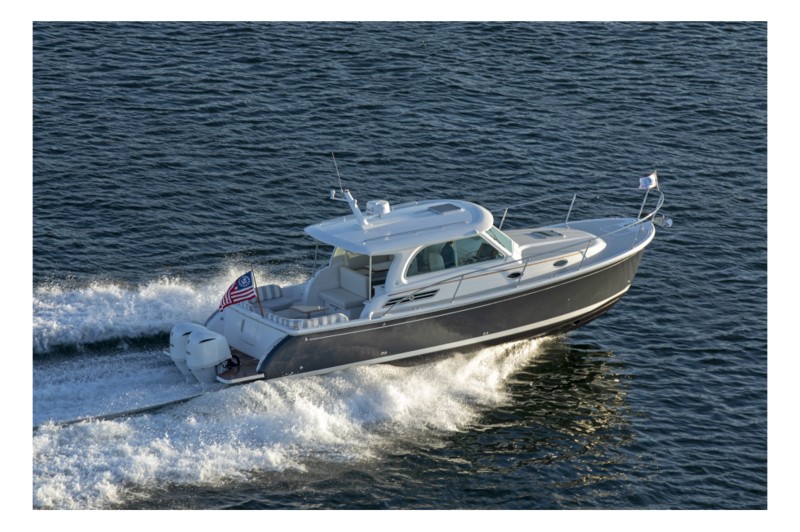 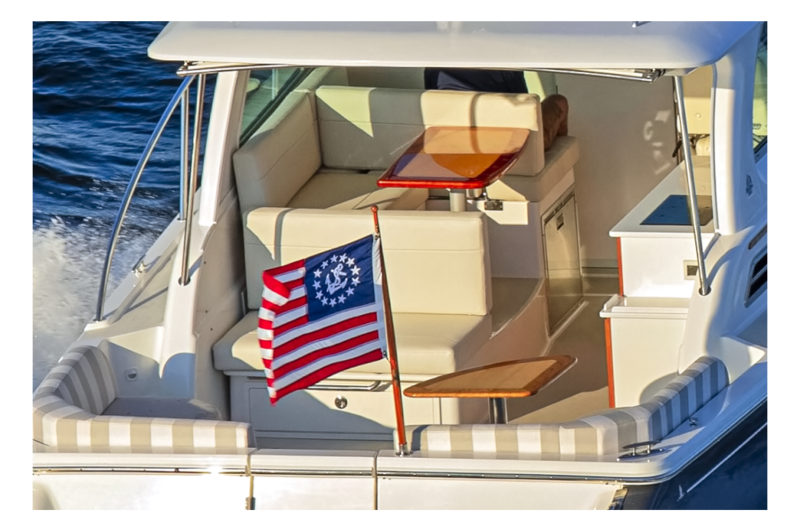 The boat features plenty of cruising amenities, including a standard 5kW diesel generator cabin A/C below deck, a spacious island berth, and a separate head and shower.